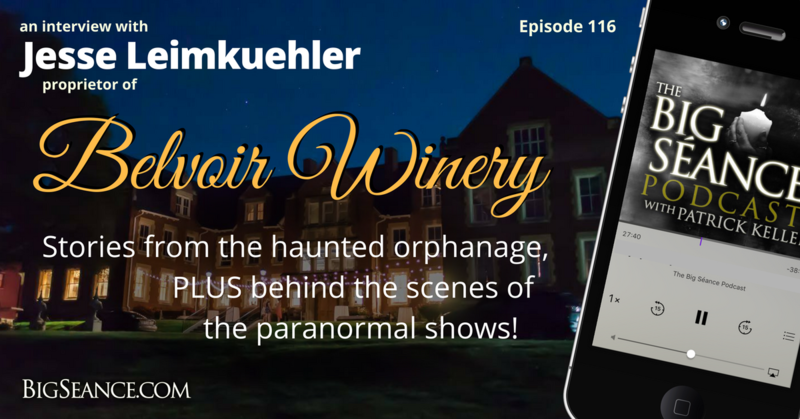 Coverage of Patrick’s road trip and overnight stay at the haunted Odd Fellows Home Orphanage, now known as Belvoir Winery! Plus an in-person interview from the The 1900 Room of Belvoir, with owner Jesse Leimkuehler, who shares some of the history and hauntings, and isn’t afraid to dish about the behind the scenes secrets from the Ghost Hunters and Ghost Adventures investigations! For more info visit BigSeance.com. For more on Belvoir Winery and Upcoming Events!